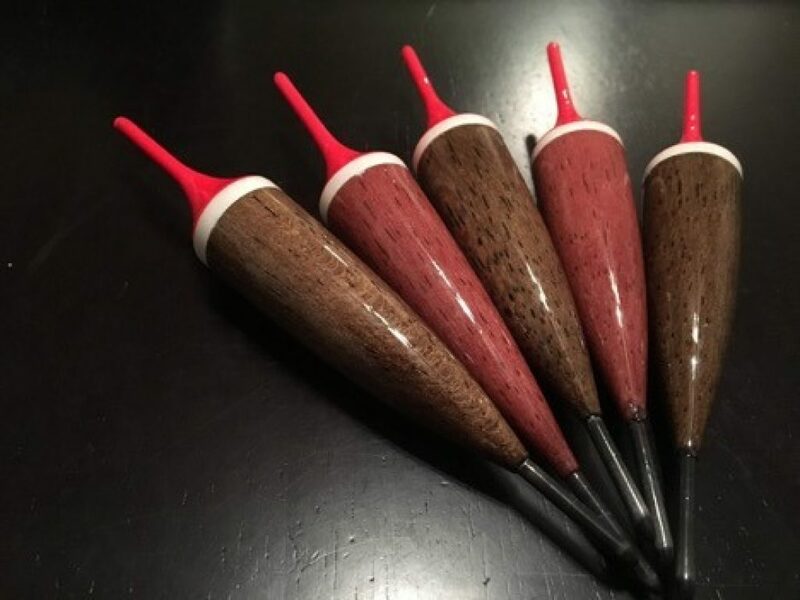 With peak steelhead season in the foreseeable future, I figure it's time to shed some light on how I rig my rods up for float fishing. There are multiple ways to set up a float fishing rig and the way I do it is not the only way. It's what works for me and I will explain why I rig my rods the way I do. I'm not going to get into rods and reels because that is a whole other topic. I'll start with main line, talk about the actual rigging, and end with some tips on float fishing. I'm no expert, but my friends and I set everything up very similarly and we all catch plenty of fish. This is how I rig my line for steelhead fishing. As a strike/bite indicator. Most steelhead fishermen use spawn bags, beads, or jigs tipped with grubs as bait. You simply set your desired depth, cast, and then let line out as your bait drifts down the river. The goal is to present your bait in a drag-free, natural-flowing fashion. If your bobber drops, set the hook and hang on! "The goal is to present your bait in a drag-free, natural-flowing fashion." I run 15 lb Siglon FF on my Hartman Centerpin Reel. Some guys run fluorocarbon or braid for their main line, but I personally prefer Siglon FF. It is a monofilament line that is made for float fishing. It floats very well which makes mending your line very easy. It also has a water repellent finish which reduces the amount of ice buildup in your guides when temperatures are below freezing. I fish all winter long so this is very important. I will say braided main line is fantastic on spinning reels but you will have some serious issues with braided line freezing with the way it absorbs and holds water. Whether you use a centerpin or open-face spinning reel, your mainline should be in the 12-15 lb range (or higher). The reason for this is simple, most steelhead fishermen use 6-8 lb leader line, so your main line needs to be stronger than your leader line. 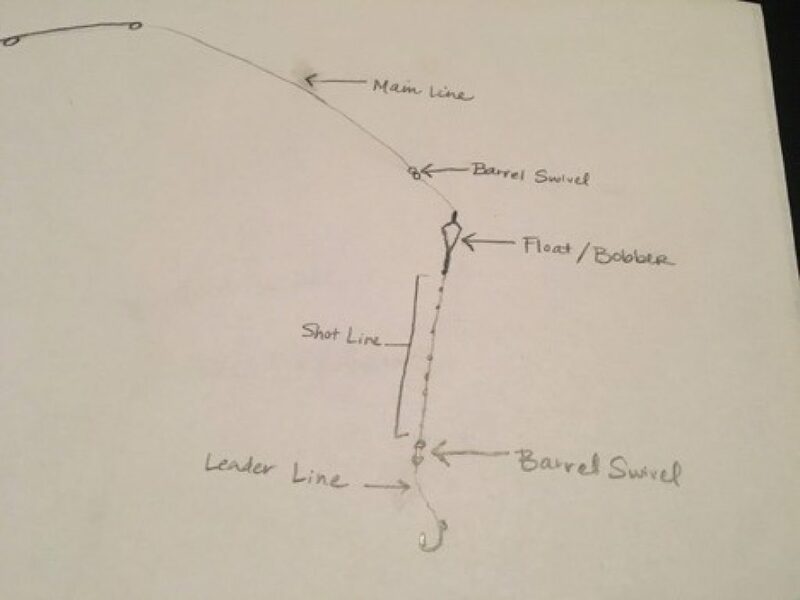 I know some guys run eight or ten lb main line with a six lb leader and wonder why their main line breaks before their leader when they get hooked up on a snag. This happens when the leader line is nicked up from a normal day of fishing and the leader line is now stronger than the main line. Although it is comical watching friends lose a complete rig, it's just better to avoid having to re-tie a full rig every time you snag up (bobbers/floats end up getting expensive as well). The shot line contains your float/bobber, split shots, and has a small micro barrel swivel at each end. I like to use 12 lb fluorocarbon for the shot line because fluorocarbon sinks whereas monofilament floats. Also, fluorocarbon has less stretch than monofilament aiding in better hook sets. I prefer floats over bobbers as you'll likely do less damage to your main line with a float and adjusting depth is quicker with a float. If you want high quality handmade custom floats, I highly recommend Great Lakes Floats and Jigs. Float size varies and is dependent on what size of river you're fishing. High, fast water = large floats, 10+ grams. Low, clear water = smaller floats, 6-10 grams. I typically use a 10 gram float and will only downsize if the water is super low and clear. This is a personal preference. No matter the situation, a heavier float/bobber is going to cast much easier. There are a few ways to space out your split shot on your shot line. With a 10 gram float, I use five BB sized split shots for the top portion of my shot line followed by five B sized split shots on the lower portion. The first BB sized split shot is directly below my float, every split shot is spaced roughly 5-7 inches apart with the last B sized split shot placed right above the bottom barrel swivel. So, ten split shots in all, with the five smaller split shot on the bottom portion. 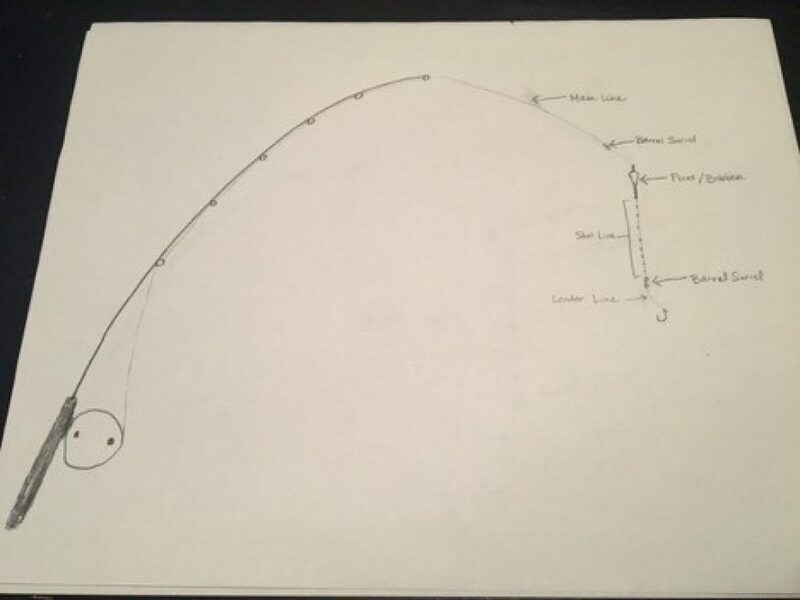 I run my shot line like this because the lighter weight on the bottom will flow faster than the heavier upper portion which causes my bait to be downstream of my rig as opposed to trailing behind my rig (fish see your bait before your split shot and line). Also, those lighter split shots bounce/roll along the river bottom easier than heavier split shot. The shot line spacing is my personal preference. I have seen split shots bunched together at the bottom of their shot line, and I have seen split shots into three equally spaced out groups. All ways produce hook ups and it's more about what you have confidence in than anything else. This is another personal preference and you'll find a lot of different opinions on what the "best" leader line is. I prefer Seaguar Blue Label in six or eight lb. I'll use eight lb if water clarity is four feet or less and six lb. when the water clarity is greater than four feet. Typical hook size is either a size six or eight, which also depends on water clarity and spawn bag size. It's a good idea to use hooks that can be hidden by the size of the bait you're fishing with. I like Tiemco 2457 Nymph hooks for spawn bags and Daiichi X510 XPoint hooks for beads. Again, I cannot stress enough how much of this is personal preference and simply what I am most confident in. 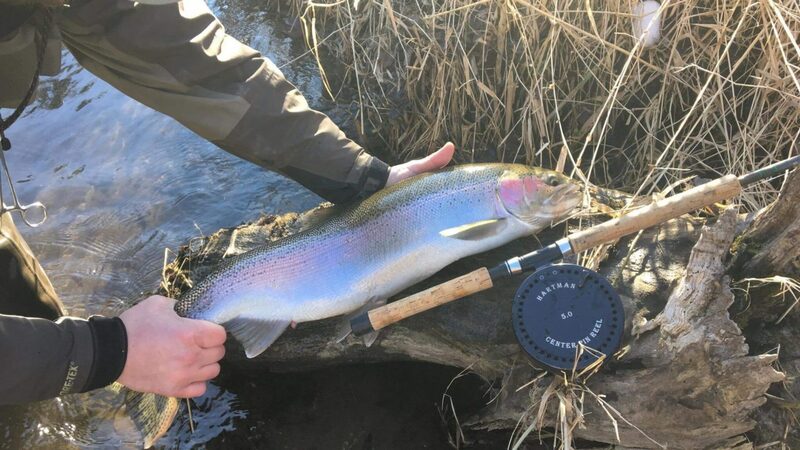 I have friends that use other hooks and catch their fair share of steelhead as well. When done right this method is really fun and efficient. Running a micro barrel swivel above your bobber will aid in reducing line twist and can also be used to break away ice at the end of your rod's eyelets by reeling the swivel through the first few eyelets. Braided main line is tough to beat on a spinning reel if you'll only be fishing in above freezing weather. Heavier weighted floats will drift slower which can be useful when the water clarity is poor. Lighter floats will drift faster which can be useful in clear water because steelhead won't have as much time to see your line and may have to reach quicker to your bait. Flies can be used for bait with a float fishing rig.